Gary S. Miliefsky is an American entrepreneur, founding member of the U.S. Department of Homeland Security, philanthropist (a founding member of the Walden Woods Project, started by musician Don Henley), and the Founder and Chief Technology Officer of NetClarity, Inc., the network security software and appliance company that he founded with current Chairman and CEO, Gil Roeder. Miliefsky is one of the best-known entrepreneurs of the network security revolution. 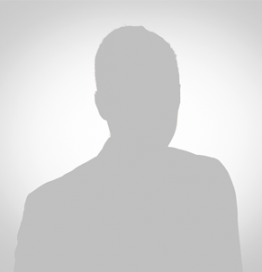 He is widely admired as the inventor of clientless network admission control or clientless NAC and has over a dozen patents published and pending. He frequently writes articles for SearchCIO and NetworkWorld. He served as an informal advisor to President Clinton and helped the President’s Critical Infrastructure Protection Board, under the Bush Administration, which is now known as the National Infrastructure Advisory Council (NIAC) and operates within the U.S. Department of Homeland Security, in their development of The National Strategy to Secure Cyberspace. He currently serves on the National Information Security Group (www.naisg.org) Board of Directors and is a member of an Advisory Board to MITRE. (oval.mitre.org). Cybercrime, CVEs, OVAL, CME and why you must care!